The Milford Football team plays its inaugural game on the new artificial turf field. 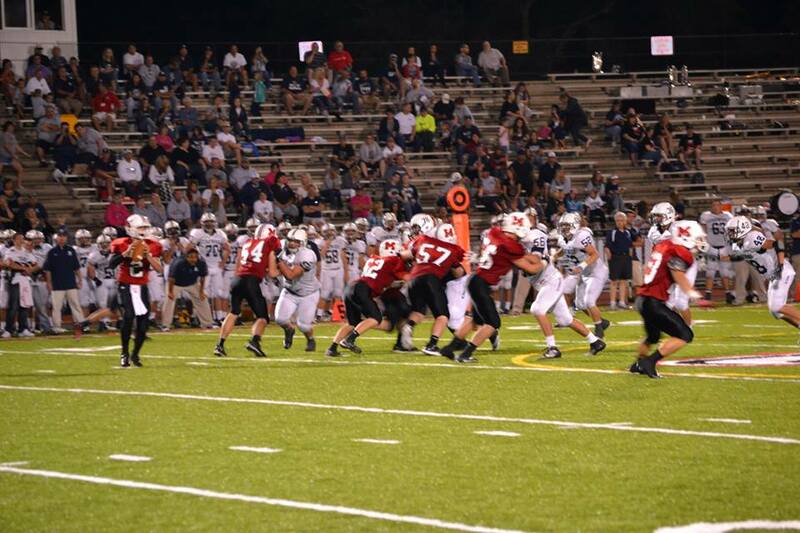 Photo courtesy of Milford Schools. If you’ve been to a Milford football game this year, you’ll have noticed our beautiful new artificial turf field. This not only provides huge benefits to our student athletes (football, marching band, soccer, lacrosse), but also showcases the benefits that can come out of a true partnership between the school district, its parent support groups, and the community. Artificial turf has been a topic of conversation for years. Unfortunately, investing over $600,000 in turf has never been a viable option for the district; it’s simply too much money when we are running tight and focusing as many resources as possible on academic achievement. About five years ago, the Athletic Boosters began to consider how to fund an artificial turf field completely through private donations – without the school district having to invest any funds. Under the leadership of Dave Meranda and his executive team, the Boosters developed a plan to garner donations and round out the amount needed with a bank loan. A little over two years ago, the first plan was presented. As is true with most plans, it was a framework but still had many holes. One of the biggest was how the field would be managed after it was installed: although the Boosters would be funding it, the field would be a district asset and we would need to maintain it. 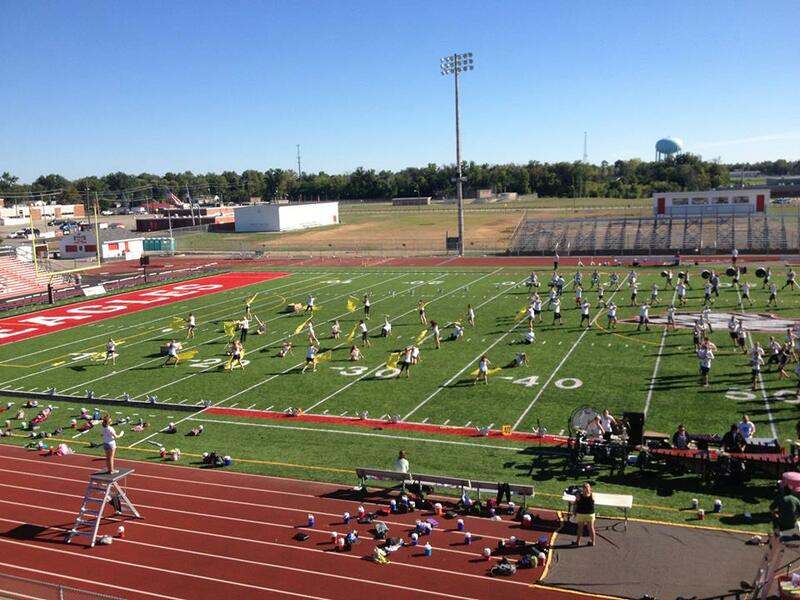 The Milford Marching Band practices on the new artificial field before a competition. Photo courtesy of Milford Band Boosters. Part of the plan is to rent the field to other groups who would want to use it when district teams were not. This is a great way to use the asset to its fullest while also generating income that will (ideally) cover the cost of replacing the turf in a dozen years or so. Our Milford team came together to hammer out a plan: when could the turf be rented? For how much? What groups would be interested in renting, and how often? How would the rental program be managed, and by whom? Between Mark Trout, Activities Director, and Jeff Johnson, Operations Manager, a plan came together. They did their research and covered all bases. Questions were answered and the plan began to make sense. Then it was time for funding – could the Boosters really generate the kind of money needed for a project of this size? Indeed they could – and did! With a generous first donation from Mike Castrucci and other companies as well, they were able to show National Bank & Trust they were a good risk and secure the balance of the amount needed as a loan. Of course, the good community relationships with Castrucci and the bankers didn’t hurt. The Athletic Boosters have proved themselves in a variety of ways, and they started with a level of trust most community groups can never achieve. The end result is what you see on our field today: a beautiful artificial turf field, 100% privately funded (no taxpayer dollars used), that signifies how private enterprise, parent groups, and the school district can come together in a creative partnership for the good of the community. Andrea Brady is a candidate in the November 5, 2013 school board election. Visit his website at kneppbradyforschoolboard.com.